The West African Examinations Council (WAEC) introduced the WAEC Offline Registration Package for schools that have PCs but are not on the Internet. This service is also put in place for schools without PCs who could be assisted by Cyber Café or Business Centers with computers and scanners/digital camera. This will enable the schools to capture registration details of their candidates and passport photographs, save the information on a CD-ROM or Flash RAM for uploading at WAEC Zonal/Branch Office in charge of their State. Each school will be given a CD-ROM containing the offline registration program, offline and online packages user manuals and other WAEC Online Registration information. 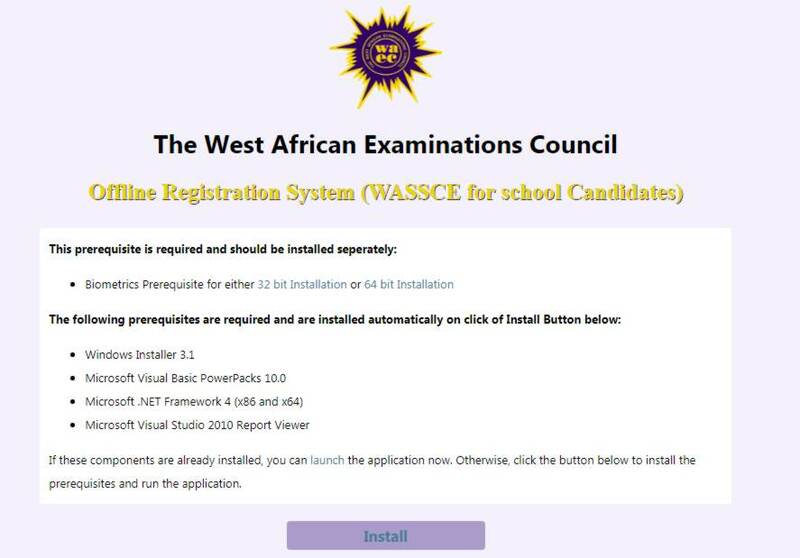 WAEC Offline Registration System Requirements. A system with high speed processor with at least 2GB RAM, 150GB Hard Disk, USB Port, etc. We newly introduced this option for the installation of Offline Registration Software. 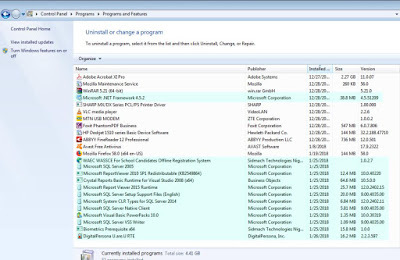 The following software prerequisites are required and are downloaded/installed automatically on clicking on the Install Button. 6. If above components are already installed on your system, click on launch to launch the WAEC Offline Registration Software Application. Mount the CD-ROM given to your school at the commencement of registration for WASSCE (For School Candidates) examination for each year. Please do not use the CD for the previous year’s registration.It will not work for the Current Registration (WASSCE (For School Candidates)).There are new features added. 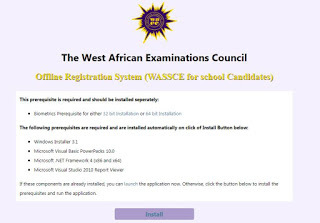 Launch the application by double clicking on the “WAEC WASSCE for School Candidates Offline Registration” icon created by the installation on your desktop. Enter a Bus going to Enerhen Junction fee is N80>from Enerhen Junction enter a Taxi going to Estate fee is N50. tell the driver to stop you at Cinema Junction by Ejemudarho Street, fee is N50, when you are there, ask of Easco Table Water building or call me. Enter a Keke-napep or Taxi going to Estate, tell the driver to stop you at Cinema Junction by Ejemudarho Street, fee is N50, when you are there, ask of Fasco Table Water building or call me. Enter a Keke-napepe or Taxi going to Estate fee is between N50-N100 > from Estate, enter a Keke-napepe going to Robinson Plaza or Deco tell the driver to stop you at Cinema Junction by Ejemudarho Street, fee is N30, when you are there, ask of Fasco Table Water building or call me. Enter a Keke-napepe or Taxi going to Estate fee is between N50 > from Estate, enter a Keke-napepe going to Robinson Plaza or Deco tell the driver to stop you at Cinema Junction by Ejemudarho Street, fee is N30, when you are there, ask of Fasco Table Water building or call me. Enter a Keke-napep or Taxi going to Estate, tell the driver to stop you at Cinema Junction by Ejemudarho Street, fee is N40, when you are there, ask of Fasco Table Water building or call me.